Here's t he second trailer for THE HUNGER GAMES, hitting theaters on March 23rd. The film stars Jennifer Lawrence, Josh Hutcherson, Woody Harrelson, Elizabeth Banks, Liam Hemsworth, Donald Sutherland, Stanley Tucci, Lenny Kravitz and looks like it's going to be a lot of exciting fun! Every year in the ruins of what was once North America, the nation of Panem forces each of its twelve districts to send a teenage boy and girl to compete in the Hunger Games. 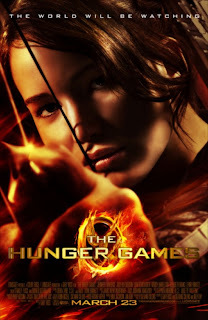 Part twisted entertainment, part government intimidation tactic, the Hunger Games are a nationally televised event in which "Tributes" must fight with one another until one survivor remains.